This lesson has been developed for two 60-minute art periods, It can be taught by a substitute teacher with ease during the entire duration OR for the art teacher to conclude upon returning from a one day absence. 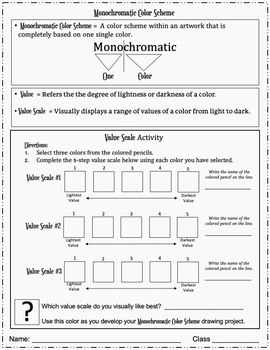 A lesson plan has been included which defines National Core Visual Arts Standards, Student Objectives, Vocabulary, Material List, Student Handouts, and a step-by-step Teaching Procedure. 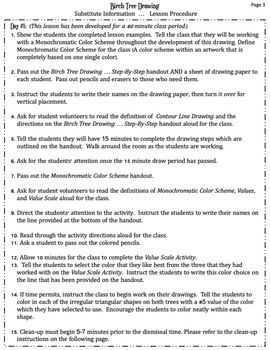 The materials needed for this lesson will be easy for the substitute to manage: art paper, pencils, erasers, and colored pencils. It will take very little time for an art teacher to prepare this lesson for a substitute teacher. Just print the PowerPoint (be sure to print enough student handout copies), fill out the schedule/classroom information sheet, and print your attendance sheets. 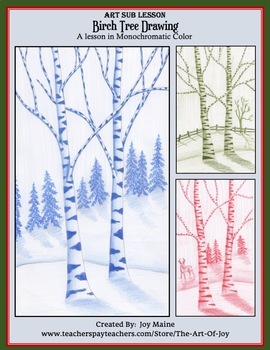 The materials needed are basic art supplies, which will require no additional preparation. 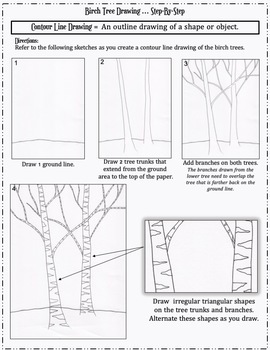 This lesson is absolutely perfect to include within an emergency sub bin or for a scheduled absence from the art room.